No Need to Look Elsewhere For Help with Cleaning in North West London! Have you considered what the assistance of professional cleaners can do for you and your lifestyle? We can drastically cut down on the amount of chores you have to undertake around the house, and even help save you money while doing so. You might not have thought house cleaning can be made so easy, but that’s the name of our game at Handy Cleaners. North West London needs a cleaning company who cares, and no matter what your needs that’s us every time. So why spend even more of your time looking around for second-rate cleaning companies? Call us at 020 3743 0505 instead and you’ll be taking a step towards a far cleaner property! You may sometimes take a look at all that needs to be done in your home, and be daunted by the prospect of tackling it alone. Luckily, we have plans, solutions and contingencies for any home cleaning requirement that will have you feeling more comfortable and safe before you know it. What makes our cleaning services in North West London so incredible is how complete they are. We do it all, be it rug, carpet, hard floor or even upholstery cleaning and more. Everything we do is considered eco-friendly cleaning too, as we make green concerns a priority in our undertakings. That’s why our cleaners stand out from the crowd and have made a name for ourselves as a truly faithful service. Why Do You Need the Cleaning Professionals in North West London? We spend a lot of time selecting the best to join our teams of cleaning experts, which is something our competition can’t profess to. That means that every single house cleaning expert we send over to you is at the peak of their abilities and ready to take on anything. Our cleaners are well known for being the ones to come to in those tricky situations, and you get our personal guarantee of quality at every step of the way. Cleaning services require a lot of special training and experience, and that’s something we’re proud to bring right into your own home. It’s as easy as contacting us through 020 3743 0505 today! What’s To Know about North West London? 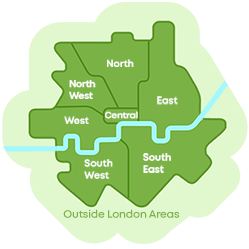 The North West London area is known for its inclusion of the boroughs Brent, Harrow and Ealing (among many more). As a result, the surroundings are jam packed with things to see that can take up a lot of potential visiting time! For example, within Brent is the large and imposing Wembley Arena, which is one of the most recognisable landmarks worldwide! Harrow is well tied to the arts world, being host to the impressive Usurp Art Gallery and Studios, which bring much culture to the area. The region is also known for Harrow College, St Dominics Sixth Form College, Stanmore College and a rich collection of other secondaries and primaries. Hold On To Your Money By Hiring Our Cleaners in North West London! Could you really imagine spending all of your hard earned money on specialised cleaning equipment and supplies you may only use once? Even worse is the idea of wasting your precious spare time on household cleaning chores and work. That’s where our cleaners come in, and are able to save you a lot of money along the way. See hiring our home cleaning initiatives as an investment, as we really do help you to avoid even costlier charges later down the road. 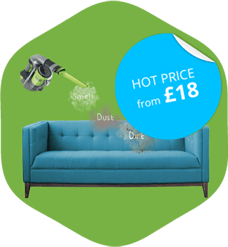 Not acting when you can is an easy way to do damage to yourself and your property, so put your faith in our affordable cleaning company in North West London instead. We do things properly at Handy Cleaners, so give us a ring today on 020 3743 0505!